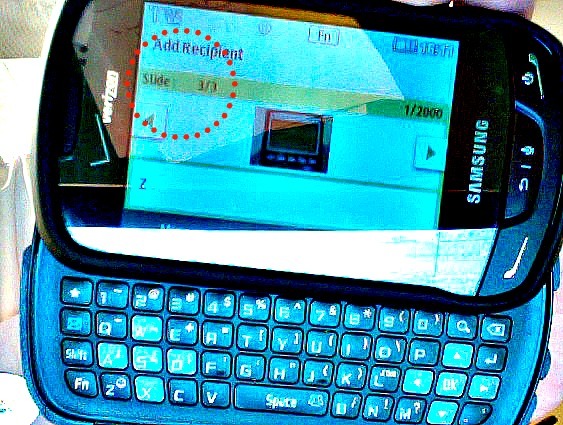 evangelizing the (digital) natives : Tip Tuesday: How Do My Students Deal With Photos? 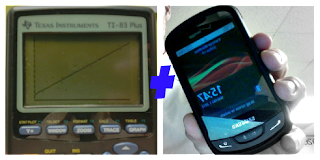 The method using the TI Connect software is probably PREFERRED, and it makes for a more polished product, but in my school, and probably for most schools and many students, the graph and take a picture method below is more realistic. "Well, I don't have a smartphone, so I don't have a way of getting them off of my phone." Sound familiar? As long as I have been giving projects requiring students make videos or take pictures, I've heard the can't-get-them-off-my-phone excuse. It's valid-ish. Not everyone has a smartphone (nor should everyone). I don't, either. That's my touchscreen messaging phone I bought on Amazon for $.01 in the photo above. What this student didn't know, and I guess is lost knowledge when most people just have their personal email attached to their mobile device, is that you can email any account with a text message. 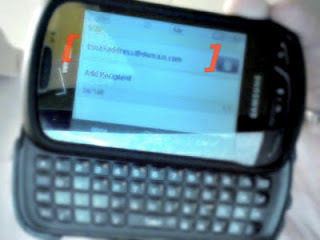 It works just like sending a text message, except you enter an email address instead of the recipients' mobile numbers. 2. Begin a new message. 5. Attach as many photos as you need! The next thing this student did to shock me today was he ended up sending like 6 different emails to himself, one for each pic. I attached 3 pix to this message. 6. Wait a few moments, open your email on a computer, and save/print the image files. This was relevant to me most recently with these calculator screen captures, but I could see it being relevant for assignments on field trips, scavenger hunts around the school, photos accompanying reflective pieces in a lit/comp course, evidence for student learning portfolios, or relevant notes for interactive notebooks (to be glued into a physical notebook OR a physical artifact uploaded to a digital notebook).